Today is the anniversary of the final day of the 1986 EDSA Revolution. And since I've been reading too many Philippine history books lately—even though I'm not doing my PhD on Philippine history—I thought I'd share two of the best paragraphs written about the Philippines by non-Filipino historians. The Philippines is a singular and plural noun. The name Philippines refers both to an island archipelago and to a country of over 75 million people. It identifies a unified nation with a single people, the Filipinos, and also a highly fragmented, plural society divided between Muslims and Christians, peasants and city dwellers, uplanders and lowlanders, rich and poor, and between the people of one ethnic, linguistic, or geographic region and those of another. To understand the Philippines, one must understand the conflict between the centripetal force of consensus and national identity and the centrifugal force of division and instability (4th ed., 2000, p. xiii). Filipinos readily accepted American styles and institutions. They learned to behave, dress and eat like Americans, sing American songs and speak Americanized English. Their lawyers familiarized themselves with American jurisprudence, and their politicians absorbed American democratic procedures, displaying unique skills in American parliamentary practices. But they never became the Americans that Americans sought to make them. To this day, they are trying to define their national identity (1989, p. 198). While some will probably argue that the authors are guilty of oversimplifying, it cannot be denied that there is a lot of truth in what they write. Ours is, in fact, a nation divided. We have an official national language that nobody really speaks (see "Buwan ng Wika 2007"), and students are forced to memorize countless "national" odds and ends (e.g., national bird, national tree), but what is it exactly that makes inhabitants of the Philippines truly Filipino? I would say that my identity as a Filipino lies in the numerous political, religious, and cultural influences that have shaped our history. Then again, I'm sure many other Filipinos will disagree. Filipino Librarian is Three Years Old! Three years ago, I wrote that, "I am not really a blogger but I thought of setting up this blog as a way of establishing a presence for Filipino librarians on the Internet." Well, I've since become a real blogger (one symptom: feeling guilty if I don't blog) that now I always identify myself as the owner of the blog Filipino Librarian whenever I am asked for a short bio—in addition to saying that I am a Filipino librarian. By the way, this blog's design is still a work in progress. In the next few days, I hope to return all the bells and whistles that this blog used to have—especially the ones that I think are worth keeping. Filipino Librarian is One Year Old! The poster above by Alan V may be dated, but I say it's timeless. 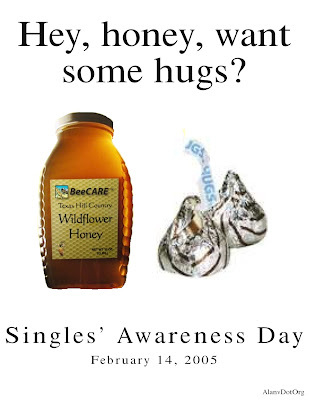 It used to be that I was just a member of Samahan ng Atenistang Walang Iniibig (SAWI), but now I think it's so much more comforting that there's actually an official Singles' Awareness Day (SAD). Thanks to a comment left by Aurelio, I thought of looking for plays that are available online. The works listed below are available in their entirety on The United States and its Territories (USIT), Literatura and Pantas. The Palanca Award-winning one-act plays listed below, in contrast to the USIT plays, are the only ones on Literatura with their full text available online. Excerpts of other plays—including the authors' email addresses—may also be found in Literatura 8, 10, 12 and 13. Please note that permission from the authors must be obtained before any of the plays listed below are performed.